November 30, 2008 at 11:09 amMonica J. The show was just fantastic, we enjoyed it so much. It is increible the skill of the horses and the ability of the trainers to make them do all those stuff. However you can understand that when the horses were with the trainers they did all what they want, but was amazing when the horses appeared in the theatre just by themselves doing their performance … that must be difficult to achieved. The performance itsefl was fantastic as well, following the same influences as cirque du solei. 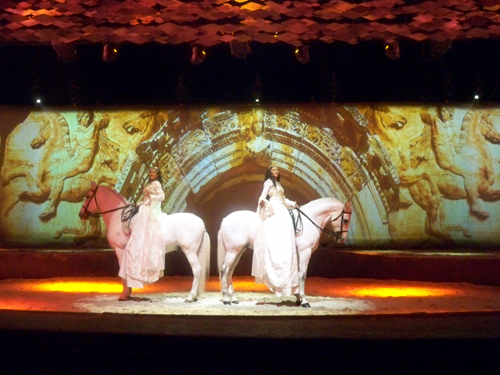 It takes between 6 months and 10 years to train horses for Cavalia. I live in Mass, so interested in the Somerville raffle. 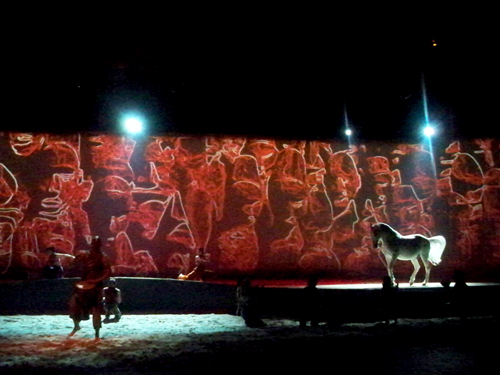 I saw Cavalia in Boston approx. 4 years ago, it was breathtaking. It takes between 6 months and 10 years to train the horses for Cavalia. I live in Massachusetts.